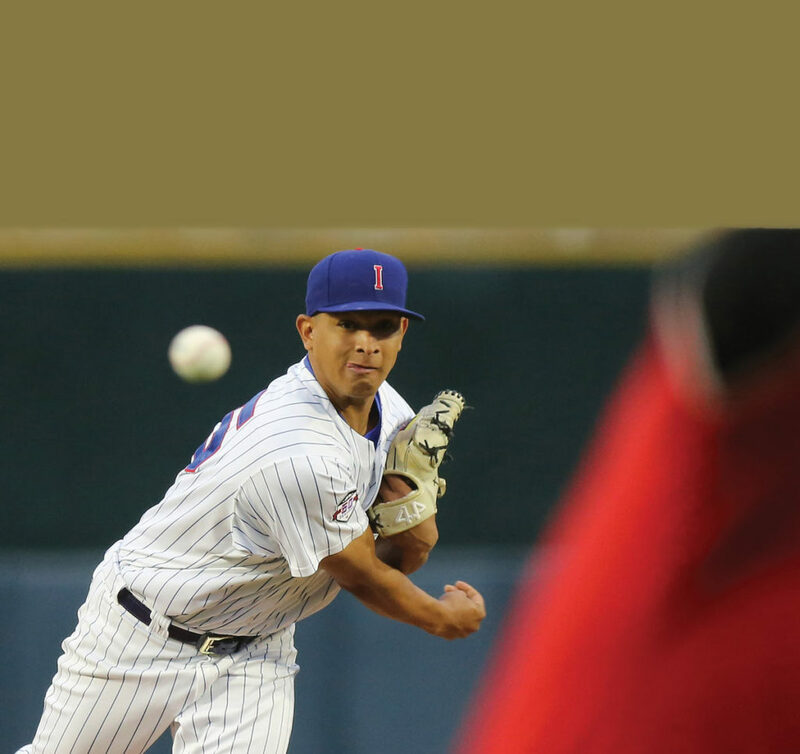 Root, root, root for the Cubbies as the team begins the 51st season of Triple-A baseball in Des Moines; the I-Cubs home opener is scheduled for April 9 at Principal Park. Enjoying fresh air and easy conversation while treating yourself to something tasty and listening to the satisfying crack of a baseball bat… Summer nights at Principal Park are electric. The Iowa Cubs baseball team’s home opener is scheduled for 6:38 p.m. on Tuesday, April 9, at Principal Park. The Cubs host the New Orleans Baby Cakes — the Triple-A affiliate for the Miami Marlins. Behind the microphone and calling the game will be Alex Cohen. The broadcaster is in his second season as the voice of the I-Cubs. 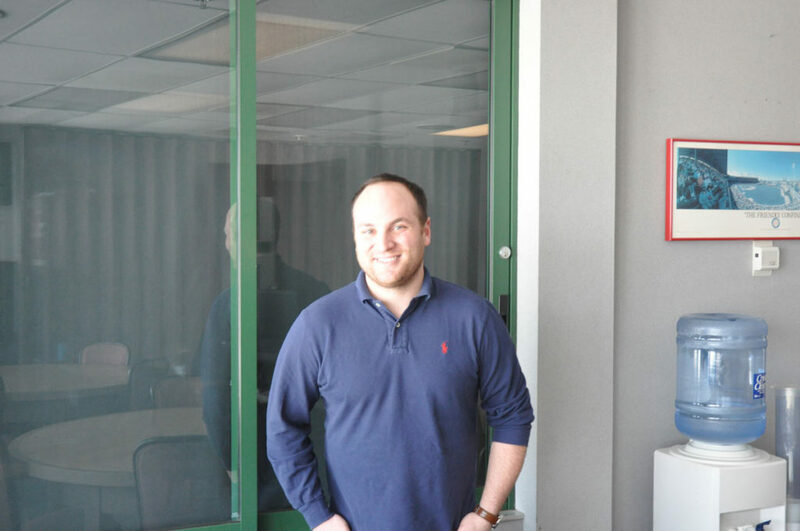 After cutting his teeth calling games while attending Indiana University, Cohen went on to hone his craft at most every level of amateur baseball — he even did a stint in Australia — thus the Philadelphia native knows minor league baseball. He says the Iowa Cubs offer fans something special. Last year was Iowa’s 50th anniversary celebration for Triple-A baseball in Des Moines. Coincidentally, the team won 50 games (50-88) and finished in last place in its conference of the Pacific Coast League (PCL). “It was an up-and-down season,” says Cohen. The goal of an affiliate franchise, generally speaking, is to support the big league squad. Sometimes that means winning games, and, at other times, that means working to develop talent with the intent of having your best players harvested. Starting in 2015, Chicago has been positioned to win a big league title. Making moves to improve the team, such as acquiring closer Aroldis Chapman in 2016, comes at a cost of trading away prospects and weakening the win/loss records of the organization’s lower levels. Chicago has enjoyed three straight seasons with 90-plus wins, has played in three straight postseasons, and won the 2016 World Series. The team’s success has predictably left the farm system somewhat depleted. “Aside from Jason Heyward and Ben Zobrist, most of the Chicago Cubs nucleus right now came through Principal Park,” says Cohen. The list includes Kris Bryant, Javier Baez, Anthony Rizzo and others. is generally regarded to be a itter’s league. “The rotation is fairly loaded,” he says, referring to rising star Adbert Alzolay, the organization’s top starting pitching prospect. The 24-year-old right-hander took the mound in Iowa last season and pitched well until suffering an injury that ended his season. Other probable starting pitchers for Iowa include Duane Underwood Jr. and Alec Mills. Cohen says each looked dominant at times during the 2018 campaign. Underwood is one of the organization’s top-30 pitching prospects, and he says Mills pitched well enough to earn a big league call up to Chicago. Relief pitching also figures to be strong in Iowa this year, according to Cohen. 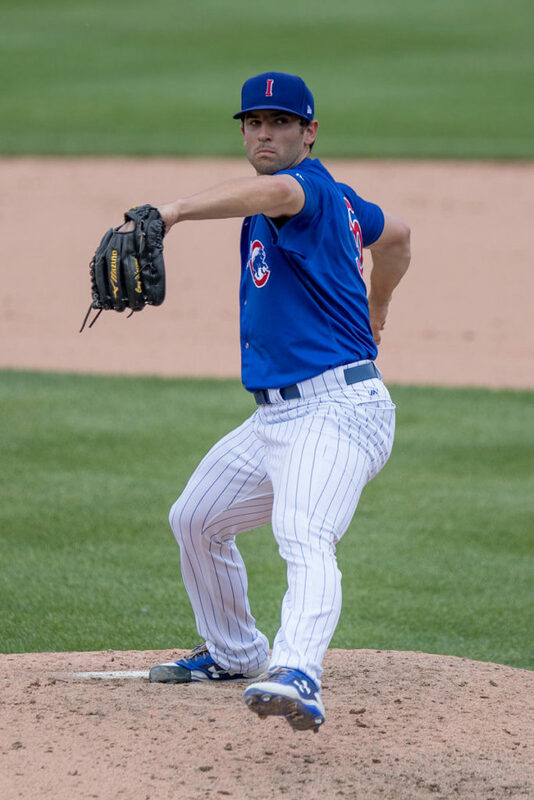 Joining the 6-foot-7-inch, 250-pound, right-handed Mekkes in last season’s bullpen were two other hard-throwing relievers with “back-of-the-bullpen caliber of stuff,” Dillon Maples and James Norwood. Maples led the team with 10 saves in 2018, and he posted a respectable 2.79 ERA along with 75 strikeouts in 41 appearances. Norwood struck out 21 during his 17.2 innings for Iowa. The trio of Mekkes, Maples and Norwood ended the 2018 campaign playing in Iowa, and according to Cohen, all three are likely to be back in 2019. Offensively, Cohen is excited to see how the team’s middle-infield shapes up. Top prospects Trent Giambrone and Zack Short played Double-A ball last season, and they are expected to advance to Iowa. David Bote made his MLB debut in 2018. Giambrone primarily plays second base and shortstop, but he can field all four infield positions as well as man the outfield corners, making him a candidate to be a future big-league utilityman. The 2016 25th-round draft choice impressed in Double-A last season, and he is easily outperforming his draft position. Scouts say the 5-foot-8-inch scrapper makes hard contact to all fields and brings an aggressive approach to the plate along with underrated power. “Mark Zagunis (outfield) is probably the surprise of the big league camp in Mesa this year,” says Cohen. Despite early spring training success, due to Chicago’s talent at the position, he will probably play for Iowa again in 2019. In addition, the team will likely feature Ryan Court, who hit over .300 in the second half of last season in Iowa. In 1931, the United States of America adopted “The Star-Spangled Banner” as its national anthem. Composed by Francis Scott Key, an amateur poet inspired by the sight of the American flag over Fort McHenry after its British bombardment, the patriotic song is performed before most modern athletic contests. The Iowa Cubs play 70 home games, which means they need 70 or so anthem performances. In order to fill those spots, the team held auditions at the ballyard in March. While performing, vocalists must sing a cappella on the field (weather permitting) as if it were a real game with a live microphone. 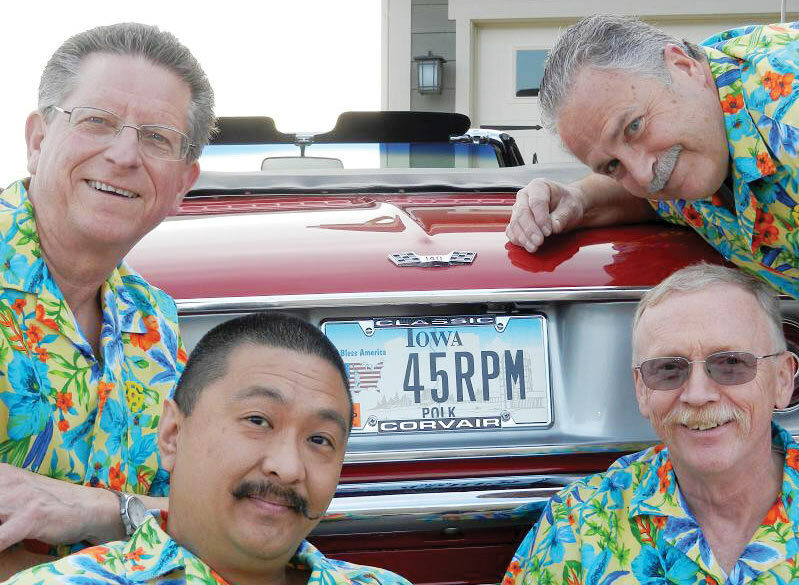 The 45 RPM Quartet made the grade, and the foursome is scheduled to perform Aug. 21. The group has performed the national anthem for several years before games at Principal Park. “It is probably one of the biggest audiences we sing for all year,” says Uy. The 45s have used the experience to branch out. They recently performed at a Drake basketball game and other venues. “It’s always a lot of fun,” says Uy. Peanuts. Crackerjack. Hotdogs. The menu at the ballpark includes all the all-American staples fans have come to expect, but other mouth-watering selections are also available. Another hot item to keep an eye out, according to Shelby Cravens, the team’s director of media relations, is the Slaughterhouse sandwich. 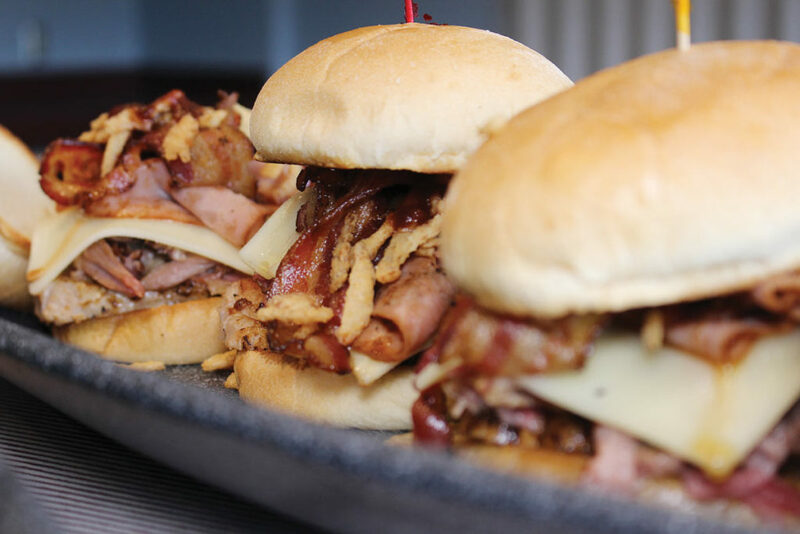 The sandwich features ham, brisket, pulled pork and baked beans. Bam. Pop. Boom. Bang. After watching the national pastime at Principal Park, don’t be shocked if you are awed by some postgame fireworks. The explosive and majestic light shows are scheduled for Independence Day, as well as after each Friday home game. There are many other fun reasons to attend as well, according to Cravens, but for her, it’s the on-field action that is the primary attraction. But what if you have a friend in from out of town who maybe isn’t the biggest baseball fan? What would you tell that person to get them out to the ballyard? The home opener at Principal Park is scheduled for Tuesday, April 9 against the New Orleans Baby Cakes. The first pitch is scheduled for 6:38 p.m.
May 18: The game begins slightly earlier than usual, 4:38 p.m., on Saturday, May 18, in order to finish in time for a post-game Movie on the Field. Fans are invited to stay late to watch “Field of Dreams” on the HD video board. As the Triple-A affiliate to Major League Baseball’s Chicago Cubs, the team plays in the Northern division of the American Conference of the Pacific Coast League. 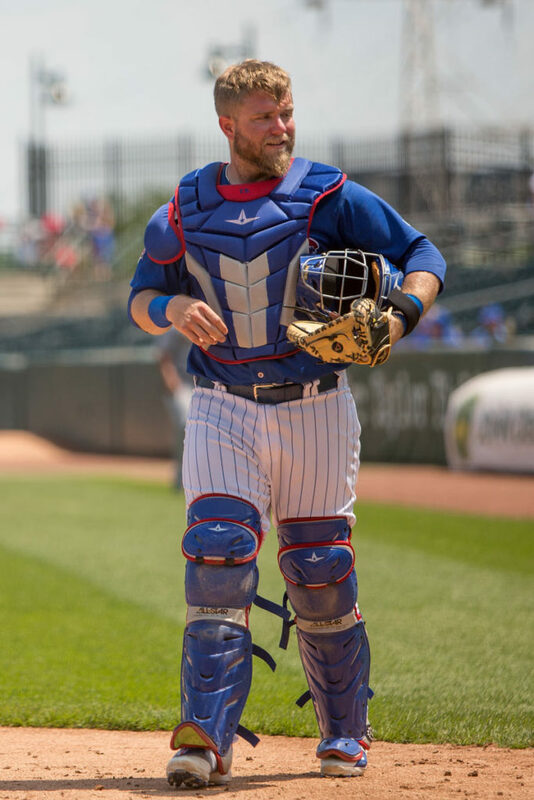 The Iowa Cubs begin 2019 by taking the field in Nashville on Thursday, April 4, before playing their home opener at Principal Park on Tuesday, April 9 against New Orleans Baby Cakes (Miami Marlins). 11 weekends of Fireworks Friday, Saturday Pre-Game Catch and Sunday Kids Run the Bases. The Cubbies play two nine-game homestands — May 11-20 and June 20-28. The team’s longest road trip is a 13-game stretch May 21 – June 2. Tickets can be purchased in-person at Principal Park or by calling 515-243-6111. For more Iowa Cubs information, visit www.iowacubs.com. New for this year, the team will be wearing different styles of jerseys on a handful of occasions. All sets of game-worn jerseys will be auctioned off during the game and proceeds will go to benefit the respective organizations. On the bench and leading the I-Cubs for the seventh-consecutive season is manager Marty Pevey. This will be Pevey’s 36th season in baseball and his 23rd as a coach. Pevey notched his 1,000th career victory as a manager in 2018. The skipper is also the winningest manager in I-Cubs history. For the upcoming season, Pevey will be joined in the dugout by pitching coach Rod Nichols and hitting coaches Desi Wilson and Keoni DeRenne. 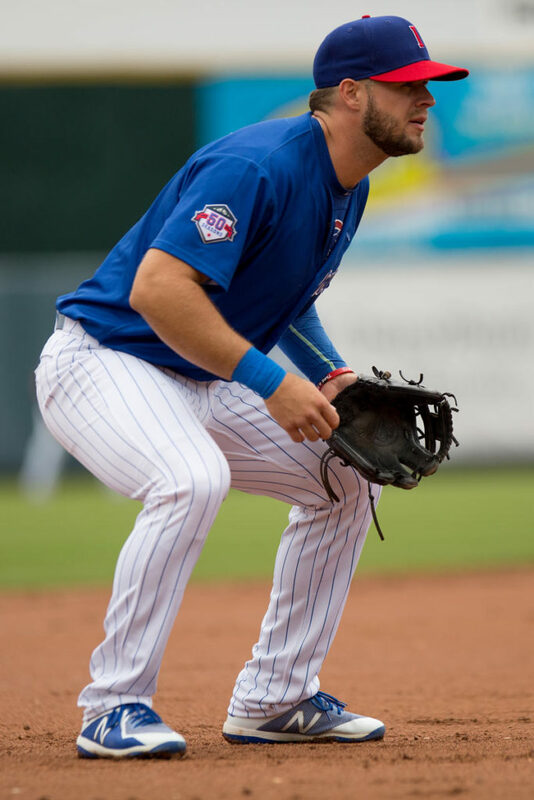 The Iowa Cubs sit atop the Chicago Cubs’ farm system, which consisted of nine clubs in 2018.